Many thanks, a more than adequate description of the water jacket layout. I used a long series drill to link the sections together, obviously making sure that I didn't drill where the transfer ports were going to be once the liner was fitted! 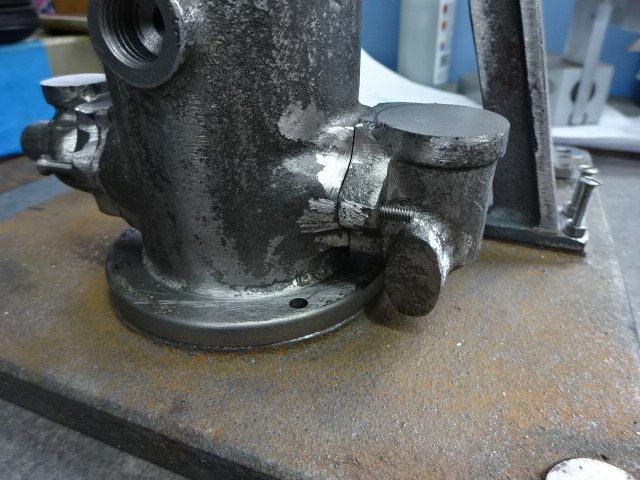 I forgot to mention that the Allman engines bore and stroke are.... 1,1/2" bore and 2" stroke. Mr Allman's design was quite revolutionary at that time. A " spherical " combustion chamber. 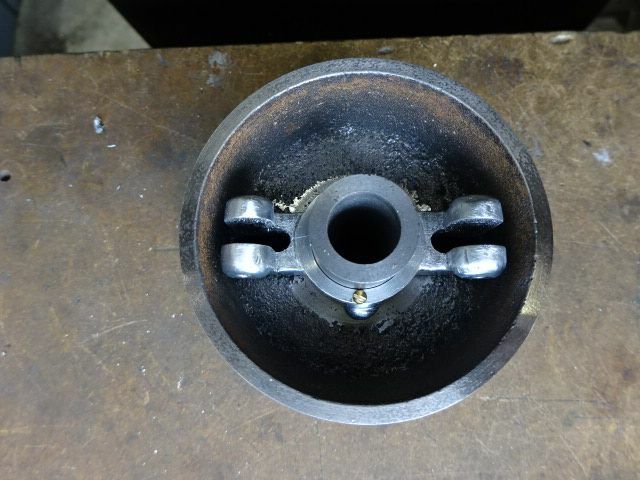 One hemisphere formed in the cylinder head the other in the piston. IC engine " aficionados " would have heard of Sir Harry Ricado and his efforts to create his " induced swirl " in the 1920's, was Mr Allman intuitive? 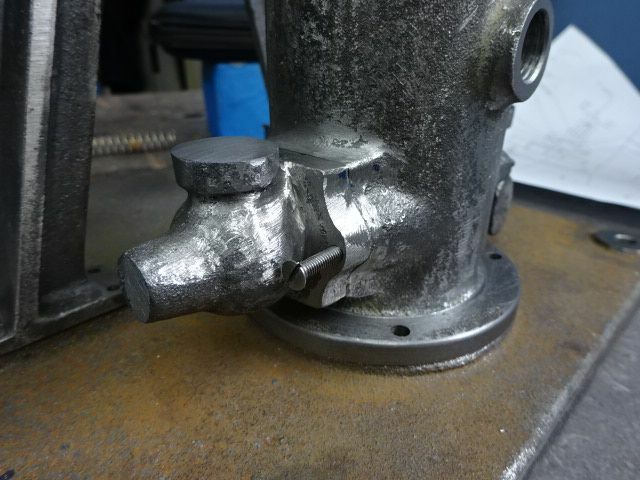 Thanks Graham, I had already decided 1.5" bore was about right from the piston and cylinder head, have bored the outer casting to 1.654" which for Jo is about 2mm wall thickness for the liner. I'm thinking of either a Woodruff/tee slot cutter or the boring head and the rotary table to open up between the water spaces. No wotk on teh Allman today, back on Wee Robbie. After a bit of grinding and filing the two valve chests are looking quite good. 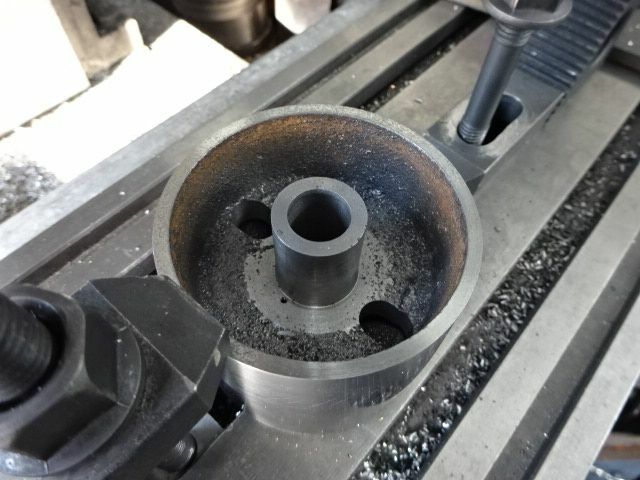 I also milled the back face of the flanges flat and drilled the mounting holes as well as taking a skim off the tops. 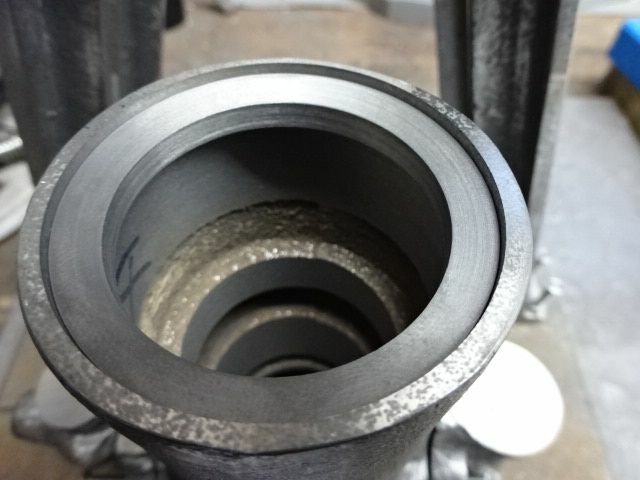 The two bosses on the cylinder casting have also been machined flat and drilled & tapped and finally a bit of blending of the two edges has things looking as they should. Also did the governor yoke, not sure what alloy this is cast in but it is quite heavy almost like ZL12 aluminium zinc alloy. Is this one of your own castings Graham or did the Iron foundry do it? Machines quite nicely and has a decent size chucking spigot.. The two bits fitted together, bit tight to get the 10BA screws in but they fitted OK. Yes, the governor yoke is one of my castings, in house. It is a Zinc alloy the same as the Robinson " X " type eccentric internal gear. I chose this method, as a fabrication was considered too time consuming for me. 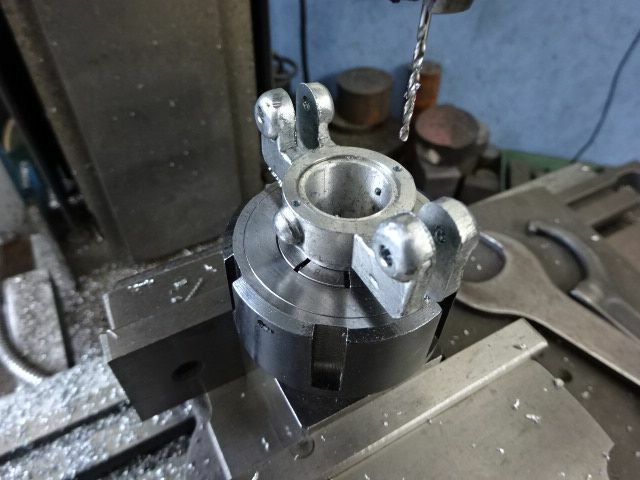 The " substantial " chucking stub is actually the " head " for the gravity die casting process. Now, not wishing to correct you, but.... The two little stubs sticking out from the sides of the collar are where I placed a couple of 4 BA hex head bolts to clamp the yoke to the pulley. 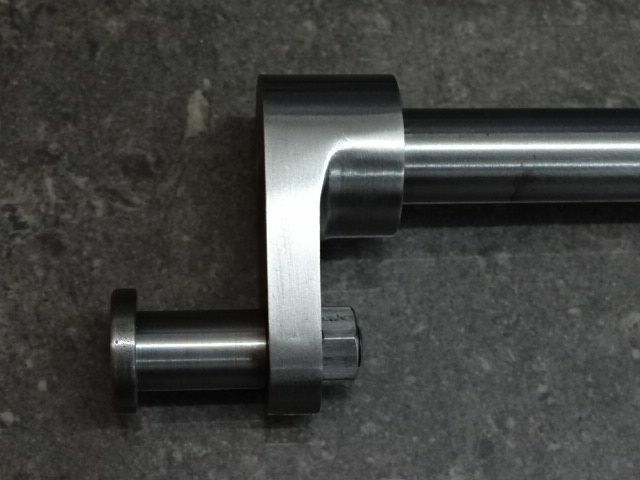 Fixing in this fashion allows adjustment of the assembly to that of the roller arm. Thanks Graham, I was wondering what those bosses were for and that also confirms why the yoke was the best casting of the lot. I've got the tapered CI ring made to close off the top of the water space. Crankshaft, Crank and Crank Pin. Also a few simple turning jobs - Pivot pins for governor arms, governor spool and wrist pin. Some people like to fondle their castings but I prefer to fettle mine. Now I'm starting to think I'm watching a soap opera. Albeit...not a lot of drama...but entertaining! That flywheel is now looking more presentable. It's a sad fact that most foundries these days are using rather coarse grained sand. Back in the days of my production the patterns were moulded using the " Greensand " method with a sand so fine you could cast your fingerprints!! Roger Jones, the patternmaker at Buckley always said that the pattern had to be 110% perfect otherwise you wouldn't get a 100% casting. This was one of the reasons why we changed to using Aluminium masters that were polished bright. 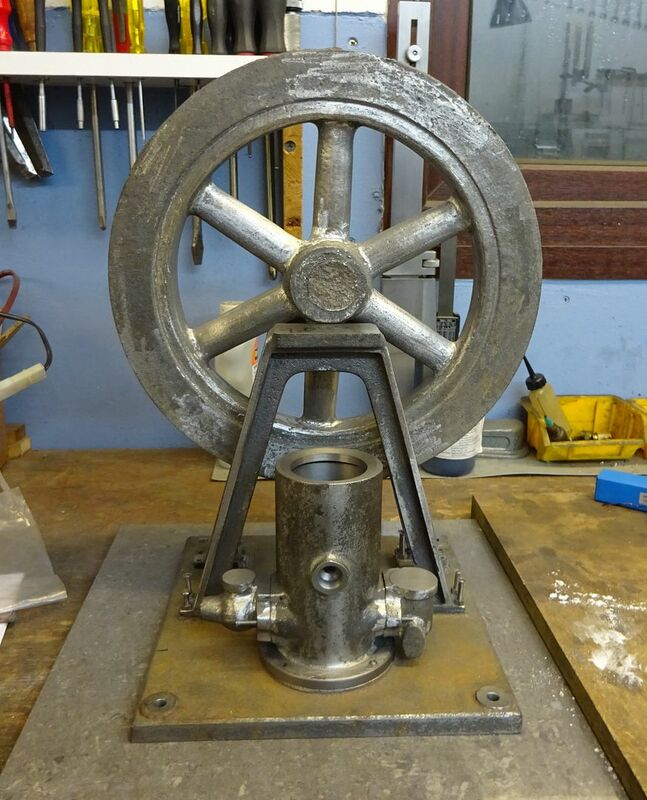 Well I have a feeling that the foundry may have had a bit of SG iron left in the crucible that they used for this flywheel, certainly seems to look and machine like it and also has the smell to go with it. Having said that it is machining up quite well. The outside of the casting was much lighter than most of the rest which I thought may have been due to a different sand but seems the iron does not have the graphite in it and is not the usual dark grey that is a joy to cut. I used an upturned boring bar to get the reach as at first the rough casting was just kissing the carrage legs ( yellow painted part) so needed quite a bit of tool sticking out, just remember to run in reverse. 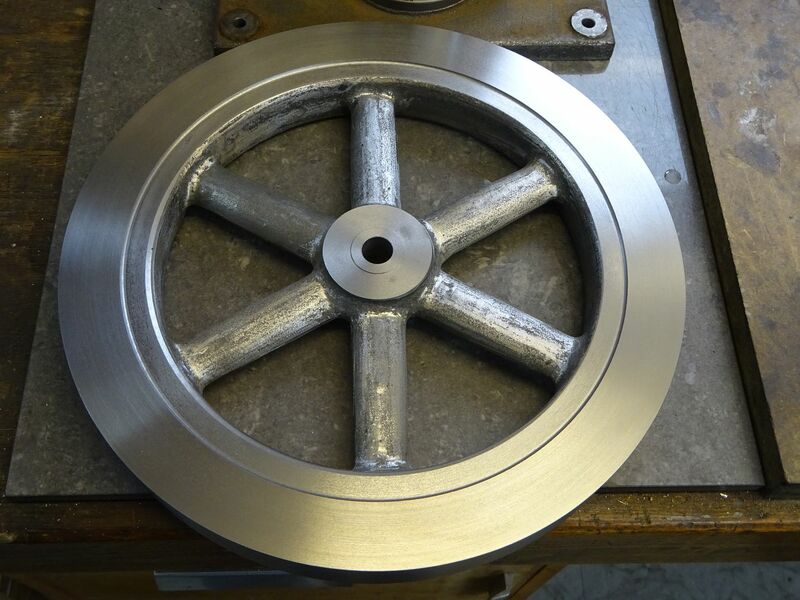 Flywheel is now complete, did not come out too bad. I'll have to ask the Brass foundry to get their skates on. 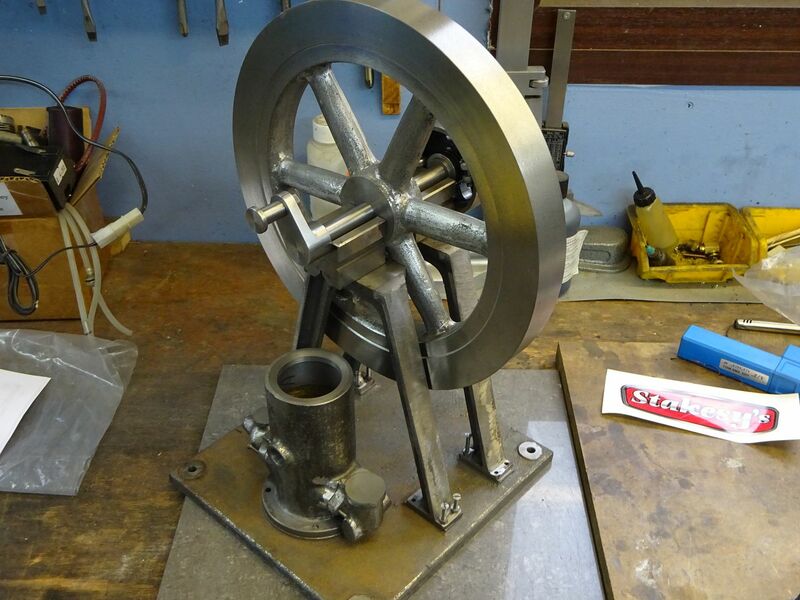 You have now got most of the " Donkey Work " done, the flywheel looks great, by the way. I'll try and post some closeup shots of the " fiddly bits " for you. Most of these come from BDMS bar stock and are easily fabricated. Graham visited me to deliver and collect castings. He brought his Allman engine engine for me to photograph the details. After connecting it to a propane gas supply Graham had the engine running in no time at all.